Great news KOF fans! If you haven't heard yet, Ignition Entertainment is doing a fan art contest with lots of cash and prizes to commemorate the The release of The King Of Fighters XLL for the Xbox 360 and PS3. The contest has been on since April 11th and will go on till July 31st 2009...so get the art flowing. 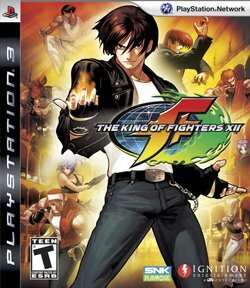 Speaking of KOF...this game marks the 15th anniversary of the KOF franchise. I remember being an eager 10 year old gamer back in 1994 (what is the deal with that year always coming up when anyone refers to the 90's anyways 0_o?). I would go to whichever arcade my parents would take me to, to let me play games like KOF, Street Fighter II, Turtles in Time, etc. 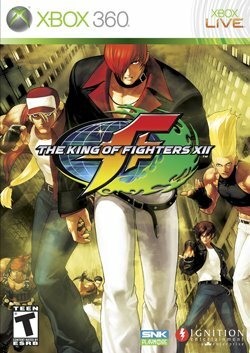 I got some good memories of KOF and execpt for the a few recent 3D versions, KOF has kept it's 1994 graphics...which to me is fine since I'm an old timer in the gaming world.